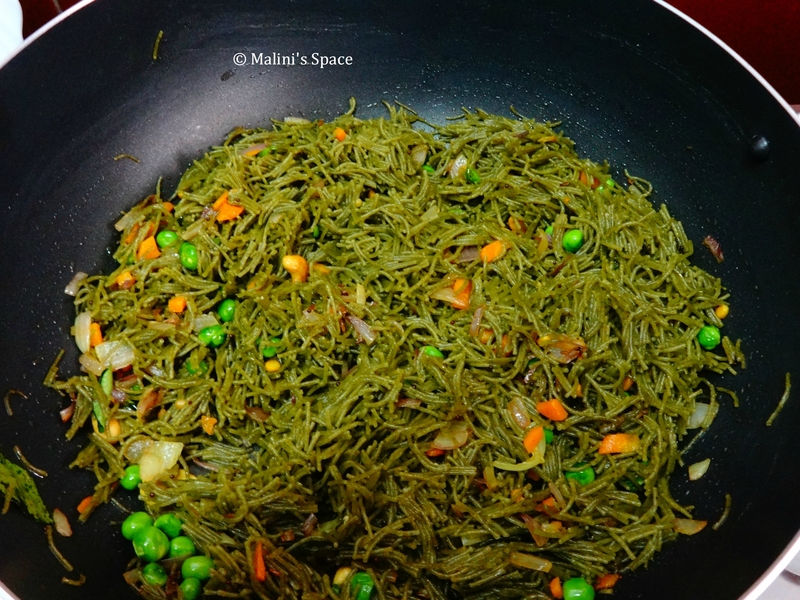 I wanted to try a different vermicelli pulao, I ended up making this spinach one. It was really yummy and I become a big fan of it now. This vermicelli can be made in two different ways, either make your own spinach paste or buy a ready made spinach vermicelli which is available in the market. My first try was I got this MTR Spinach vermicelli packet and used it to see the taste and outcome. 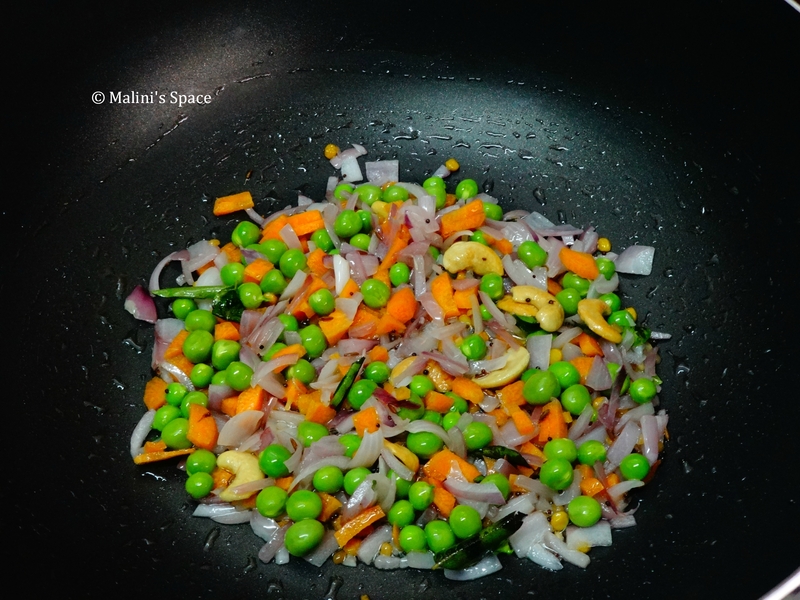 I added a bit of vegetables like carrot and green peas. My all time favorites. It didn’t disappoint me. Boil 2 cups of water in a wide pan. Once the water starts boiling, add 1 tsp of salt and 1 tbsp of oil into that Stir well and add vermicelli into that. Mix everything well. Leave it boil around for 2 to 3 minutes. 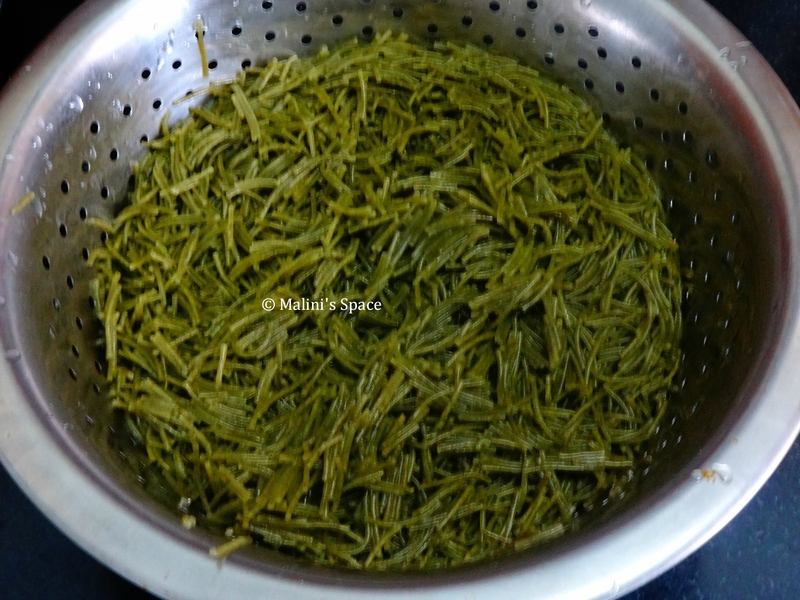 Once the spinach vermicelli is ready, drain the water and transfer that into a wide vessel. Take another wide pan and add oil into that. 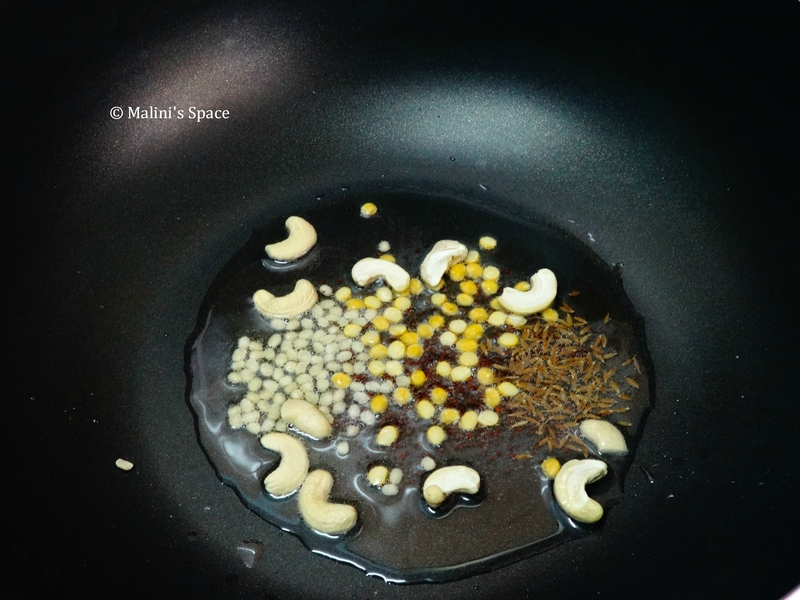 Once the oil gets heated, add mustard seeds, urad dal, chana dal, cashew nuts into that and roast everything well. 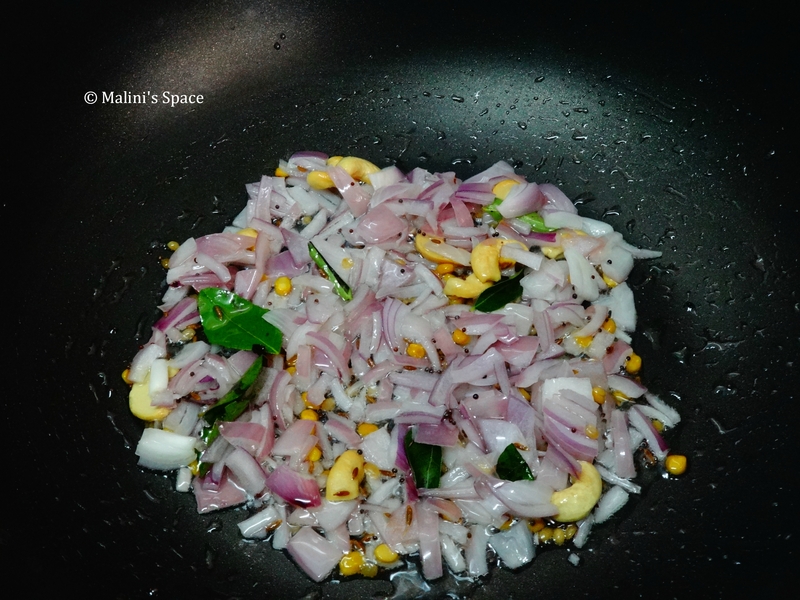 After two minutes, add onion and curry leaves into that and saute well. Add veggies into the spice mixture and saute everything well. Add salt, turmeric and Chili powder into that and mix well. Once the veggies are cooked, add the vermicelli into that and mix everything well. Once everything blends well. Transfer the pulao into a container and garnish with coriander leaves. 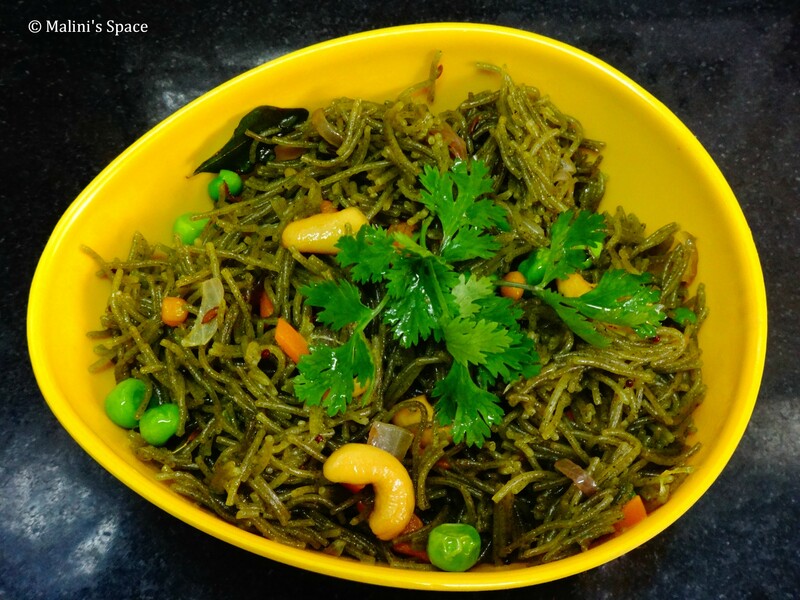 Yummy and Healthy Spinach Vermicelli pulao is ready to serve.